For those of us who love reading, coming across a book that sticks and stays heavy with you for days, weeks, even months is a merciful joy. It’s the type of fullness you wait on and wait for every time you open something new. Kiese Laymon’s debut novel, ‘Long Division’, published last year, was one that we knew would resonate with us far beyond 2013. Audacious, witty and beautifully written, it offers a necessary commentary on race, class, religion, gender and sexuality in the South through a series of critical American moments, transforming them with a daring imagination. 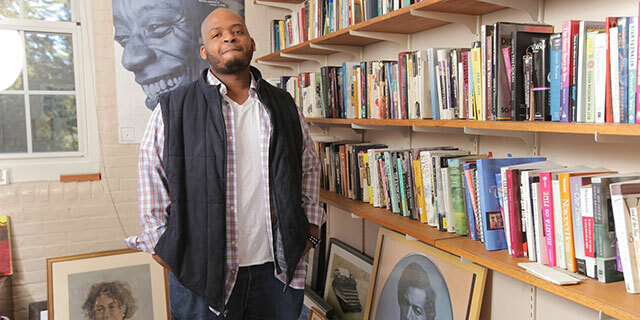 We caught up with Laymon to discuss language, love and blackness, both in ‘Long Division’ and his collection of autobiographical essays, “How To Slowly Kill Yourself and Others in America”.